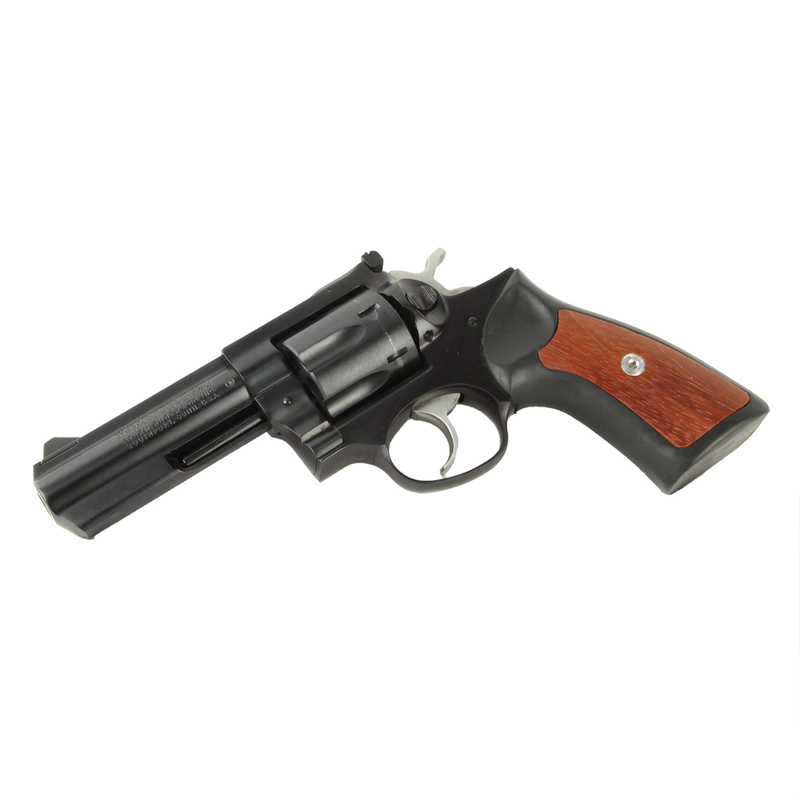 Ruger GP-100, .357 Magnum in Excellent condition. Serial #: 173-45679. 4" barrel has excellent bore. Adjustable rear sight with black ramped front sight. 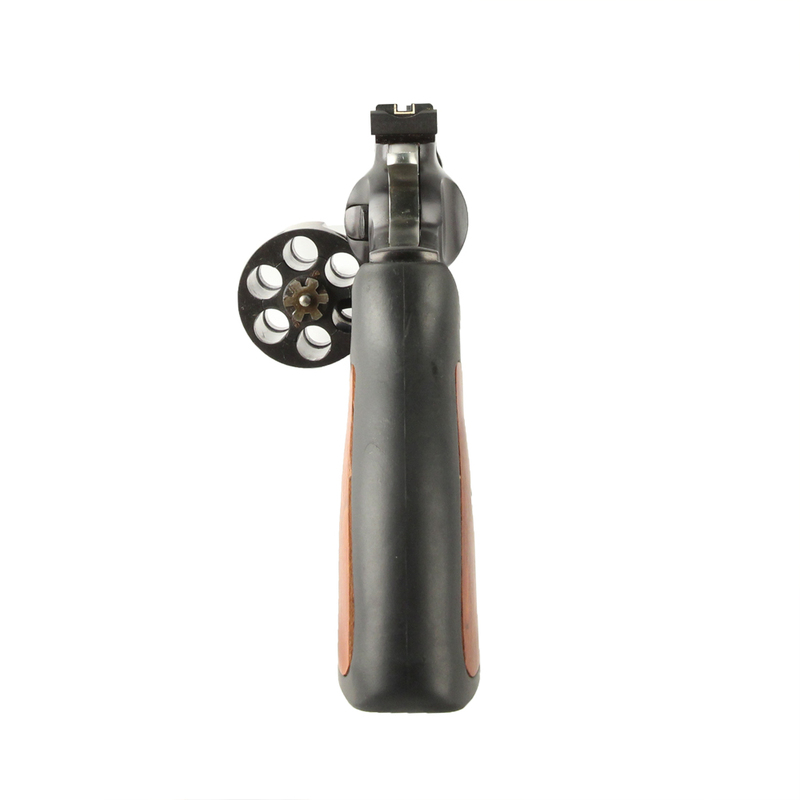 Cushioned rubber grips with hardwood inserts are in excellent condition. Ships without box.